Frederick Grove runs from Church Street through to Mettham Street. Access is restricted to pedestrians. 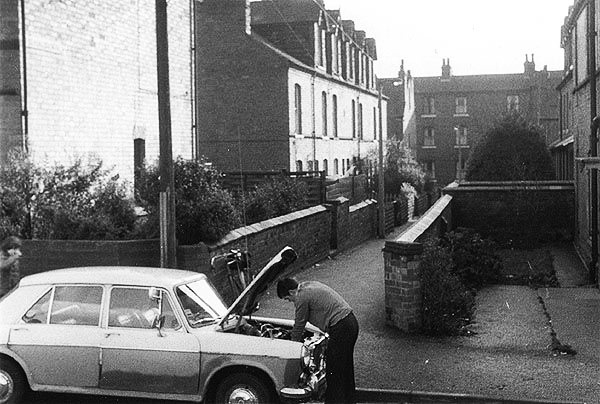 This photograph was taken in 1978 and the person peering under the bonnet of his car is Gary Wilkinson, at that time a resident of Frederick Grove. This photograph of the properties on the western side of Frederick still have their original brick facing and look much as they would have done when they were built in the 1870s. The story of William Norris, the builder reponsible for their construction is featured in Lenton Times No.13. Sheila Wheatcroft née Robinson took this shot of her then boyfriend, Brian Wheatcroft, in 1952, who later became her husband in 1956. 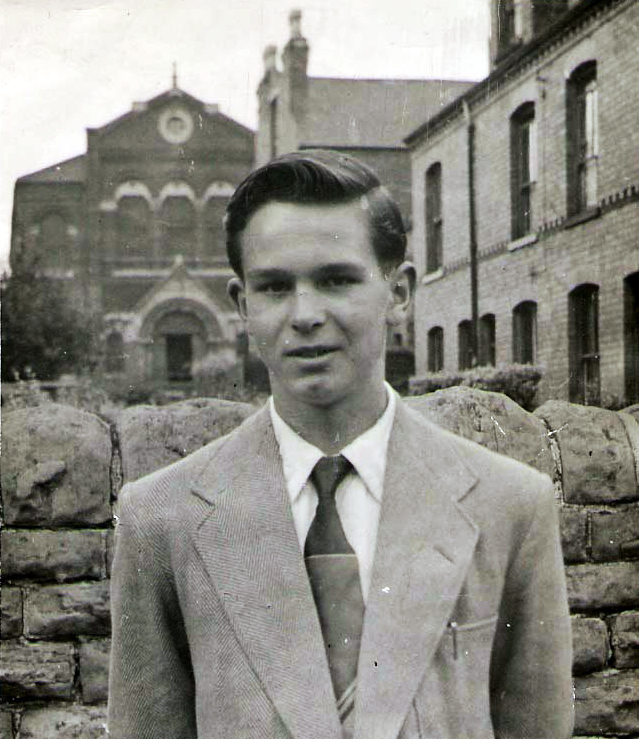 Brian was posing for his photograph in the front garden of No.12 Frederick Grove, Sheila's family home. 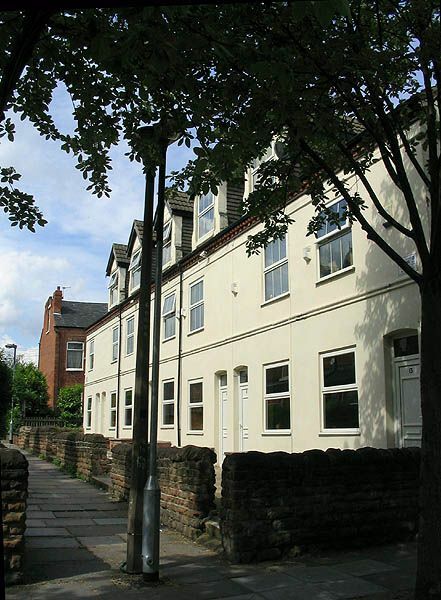 In the background is the Wesleyan Methodist Church situated on the north side of Church Street. 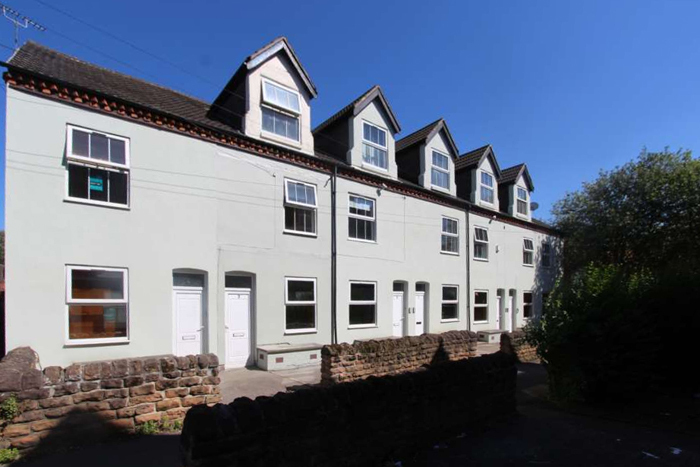 The final three photographs feature the properties on the eastern side of Frederick Grove. They underwent a major overhaul in the early years of the present century. Unlike some recently rendered building they appear to have been well maintained as is apparent in this latest photograph taken in 2019. 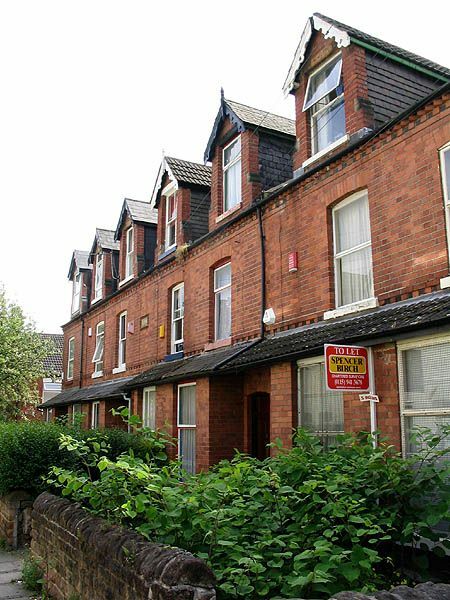 Part of the same set of properties as they looked in May 2004. 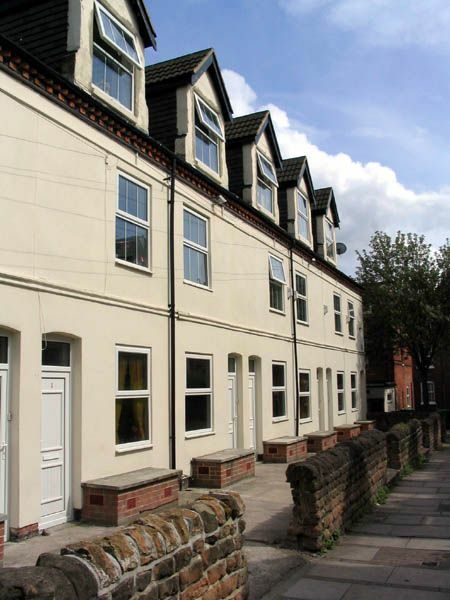 A view of the properties as they looked in 2004 but viewed from the Mettham Street end of the terrace.